Worth Unlimited Indep Agent: Sales TRACK + PIPELINE & DRIP = a proven and successful approach! Sales TRACK + PIPELINE & DRIP = a proven and successful approach! Now that we have Mac Saunders back on board we have been "exploding" sales as more and more people are finding the "Sales Track" method to be successful in introducing our program to consumers. 2) Do, or have, their Savings Report / Analysis completed. If a potential Agent does not have debt... that is OK. They still will do a Savings Report based on debt they may have had in the past. Have them put in the mortgage they paid off, the last car loan they had, and the last credit card balances they had. WHY? Because only by going through "the process" will people really KNOW the power of the program. Additionally, by going through the process... they feel confident when talking to a prospect. They KNOW what the prospect will see, the understand how it's done, and they have more CREDIBILITY with the prospect as well. The Monday Night Training Call (REGISTER HERE - scroll to bottom of page) has been covering the 6 Step "SALES TRACK" process.. while this seems like a lot of info... it's actually very SIMPLE and is really only covering about 15 minutes of conversation with a prospect. 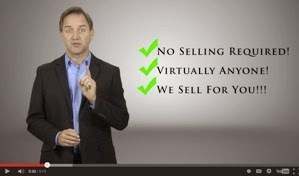 This is really to learn the "Steps" and the principles of how to qualify your prospects... with questions and tie-downs. Why? Because this is a "numbers game" - you don't ever want to be "selling" or trying to "convince" someone that their debt is important. What you want to do is weed people OUT who don't take their finances seriously. When you do that, you are left with the best prospects, ones that will take action (as either an agent or a client) and one that will be the best "builders" of your Worth business. Also... remember a "no" is not a "forever No" it's a "not right now" ..people's lives, and their finances, are constantly changing. Just because someone doesn't appear interested NOW, doesn't mean that 6 months down the road they won't be... their circumstances might be vastly different. This is why it's important that EVERY CONTACT goes in your "DRIP" Pipeline (see below), so you stay in constant contact with them. It often takes 8-10 times of "seeing" something before people take action. Some take action the first time... some longer. You don't want to lose sales because you gave up too soon. Remember... when you catch someone at the right TIME... with the right ATTITUDE... this program SELLS ITSELF! Sales Track #1 - PowerPoint: Let's Start! Sales Track #3 - PowerPoint: "Qualifiers"
Marketing Studies show that most people need to be "touched" 10-13 times before taking action. about 5-10% will be "Action Takers" and respond immediately to a good opportunity. These are often your "Type A" personalities who often are business owners or managers. But remember, you can even catch those people at the wrong time. About 10% of people will NEVER take action on anything. The other 80% can go either way depending on YOU. Depending on your message, how you approach them, the impression you make on them, and how well you follow up and stay in touch. 1) initial contact (phone call?) get their email. 5) put them in your pipeline for a regular series of emails. Once you put a system in place, you should schedule at least 1/2 hour to an hour a day to make NEW contacts and to follow up on past conversations. UNLIMITED LEADS... with the "Recruit to Sell" approach you have unlimited leads... in fact the videos below will show you how to download them... or CALL ME: 407-443-0348 if you can't figure it out or don't have a Library card, and I'll download a few hundred for you. What is the "Recruit to Sell" approach? It's simple. You just reach out to fellow professionals that might be interested in being Agents and adding Worth as an income stream to THEIR existing business. 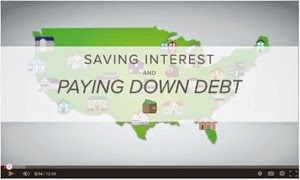 85% of the general population have debt... so you are killing two birds with one stone. You might have an Agent, or you might have an Agent that also buys the program for themselves. Remember... this SELLS ITSELF when people learn it's power. Target professions that we already know are good referral sources, but also ones that might be good referral sources for whatever YOUR "core" business is. For Example: Real Estate Agents, Insurance Pros, Lenders and Mortgage Brokers, Banks and Credit Unions, Financial Advisors, Accountants and Tax Preparers, etc. Also... those sales professionals that sell "high ticket" items like cars, boats, furniture, home improvements... anything that someone might finance. If I were an Insurance Agent I might target Mortgage Brokers and Realtors because they meet people right at a time they are going to be looking for more insurance. If I was a Realtor I might target Lenders as they often meet people who come to them to get pre-qualified for a mortgage, but before they've met a Real Estate Agent. Or I might target Insurance Pros because they often get in conversations with clients about upcoming purchases, like homes. This document here will help you set up a pipeline. It also has 10 prewritten emails you can copy and paste to send your emails out. These VIDEOS will show you how to do this. If you are not one of those super "computer savvy" people and there is something you don't know how to do.. like sort an Excel Spreadsheet or "copy and paste" ... never fear! Help is as close as YouTube or Google. Just search for what you need to learn and you will find a video or written tutorial to teach you. And if that fails... call me.